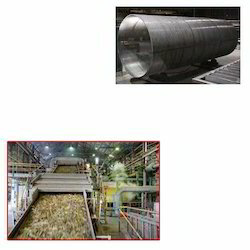 Pioneers in the industry, we offer rotary screen for sugar mill from India. For many years, we are committed to offer superior quality Rotary Screen for Sugar Mill. This screen is manufactured using finest quality materials and advanced technology under the observation of experienced team. Our offered screen is duly tested under the observation of our quality examiners to ensure its long service life. Moreover, we provide this in numerous technical specifications at reasonable prices. Looking for Rotary Screen for Sugar Mill ?